Home of the "Midwestern Barn Raised Signature Shrimp"
We are located across from the Grain Elevators. You can't miss us! Monday through Saturday 11:00 A.M. to 9:00 P.M.
We will seat you until 9:00 or later! If the light is on, come on in! Sunday Closed Sunday is reserved for events in our dining room. Rehearsal Dinners, Engagement Parties, Showers, Reunions, Birthdays, Fundraisers, Graduations, other special events and occasions. Schedule yours today! There are so many ways you can contact us! 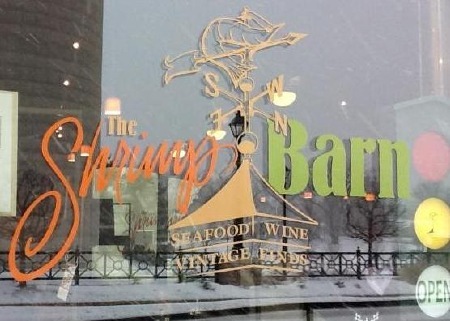 Our e-mail address Eat@ShrimpBarn.com, on Facebook, Twitter, Instagram or simply by calling (815) 828-5526. EARTH DAY ALL WEEK LONG. It takes more than a day to save our planet! Got jars you are going to toss? Bring us your drinking jars during Earth Week! Don't worry, you can always come visit them at The Shrimp Barn! Please mention your offer when ordering. Offers cannot be combined with coupons or other deals. Limit of one discount per table. Offers are good 11:00 A.M. to 9:00 P.M.
Offers are subject to cancel or change. One offer per table. Come on in and enjoy the ambiance while having a sip of coffee or wine.We have free WiFi and plenty of outlets if you need to work on your laptop or any electronic device. We will deliver to your place of work, home or wherever you might be. $3.00 Delivery fee. 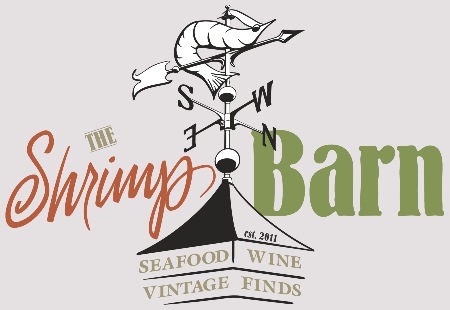 We are now selling Shrimp Barn wine glasses! Get yours for only $4.00 each! Pallet Workshop at The Shrimp Barn ~ The one pictured below was our Christmas party for the employees and family of The Shrimp Barn! If you'd like to have your own event contact Susette for details! 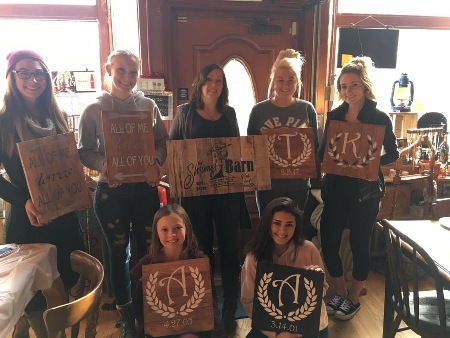 Join us for a fun evening creating a 10 x 16 solid pine sign you will be proud to hang in your home or give as a gift. $40 includes one drink of your choice. Food can be ordered before or during the event. You get your choice of background. White, cream, black or stain and you will decide how you want to personalize your pallet. 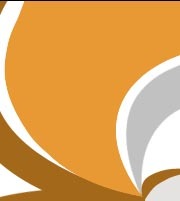 Thank you for visiting our Internet site. The emphasis of our site is to give you the opportunity to stay in touch with our restaurant and view our offers and events. We change or add to our dinner menu frequently, so please check back for changes. we wouldn't want you to miss anything. We also specialize in local wines and craft beer. We support small business and hope you do too! We sell vintage items at the restaurant. We are currently looking for consignors! The Shrimp Barn was first opened on December 3, 2011. At The Shrimp Barn, we make our food fresh and healthy. We offer grilled, sautéed and fried items. We have a light breading for frying so you can enjoy the fresh taste of your meal. We use 100% sunflower oil. Our fresh fish, seafood and chicken selections are served grilled, sauteed or breaded. Grilled and sauteed can be regular, cajun or blackened. Breaded items are also prepared in our kitchen by hand. You get more for your money as well. We take pride in presenting our food to you and know you will enjoy the quality, freshness and value. We have changed a lot since we first opened. We originally planned on being a takeout restaurant but customers preferred dining in. We changed to flatware instead of plastic and eat off of plates instead of baskets. We have so much more to offer than we did on opening day. If you haven't been in for awhile, we'd love to see you again soon! Don’t like shrimp? That’s okay! We offer honey stung chicken, salads and sandwiches that you’ll love. At The Shrimp Barn we take pride in presenting our food to you and know you will enjoy the quality, freshness and value. We offer local wines. Our craft beer is from Chicago and Louisiana. You may find a new favorite! Gift Certificates Available $5.00, $10.00, $25.00 and $50.00! Did you know? By law retailers can now charge for credit card use... But we won't!!! Of course we'd rather receive cash than credit cards. Have you told anyone about The Shrimp Barn lately? Please spread the word! 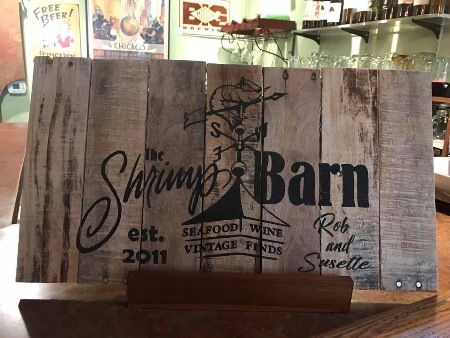 If you haven't been to The Shrimp Barn lately...you've been missing great food and atmosphere! We have pictures of our Lost and Found on our FaceBook page. Missing or lost something? Give us a call! Planning a party? Please think of us for your next event! We cater or offer buffet at our restaurant. Schedule your party at The Shrimp Barn! Do you have an event coming up? Business meeting, lunch, lecture, wedding, shower, baptism, birthday, anniversary, etc. Call (815) 828-5526 to schedule! Please consider us for your catering needs. We can cater in your home, outdoor event or in our dining room! We can "cater" to your every need. Our menu is versatile so you can change and add many things to make each one of your guests happy. Give us your budget and we will make it work for you. Contact us for holding a party at The Shrimp Barn on a Sunday. You would have the dining area all to yourself! Smaller parties can be held any day that we are opened as well. We aim to please! We want to take the time to personally thank each and every one of you for your patronage at The Shrimp Barn. We realize that any success comes from our customers and we appreciate the opportunity to serve you. We truly do appreciate you all, for your support and kind words. We will continue to strive to give you the best experience each and every time we see you. If you are not familiar with our restaurant or have any questions, concerns or comments and would like to contact us, feel free to call or email us. We would be pleased to hear from you and more than happy to help. We appreciate feedback that helps us to grow and understand the needs of our customers. We want you to be happy so you will come back and hopefully spread the word. 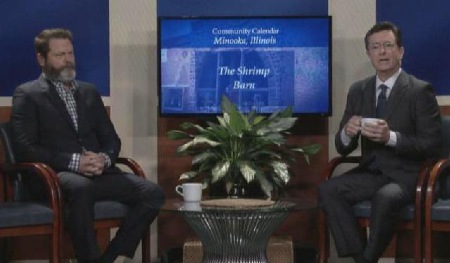 Click here to view an entertaining clip from The Stephen Colbert Show with Nick Offerman talking about Minooka, Illinois and us!